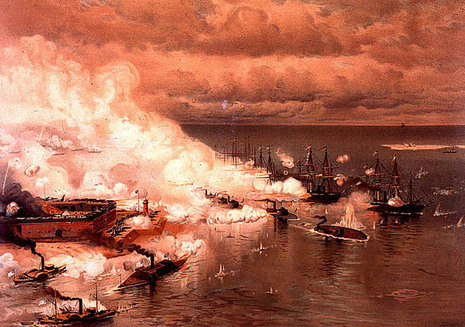 The Battle of Mobile Bay of August 5, 1864, was an engagement of the American Civil War in which a Federal fleet commanded by Rear Admiral David G. Farragut, assisted by a contingent of soldiers, attacked a smaller Confederate fleet led by Admiral Franklin Buchanan and three forts that guarded the entrance to Mobile Bay. 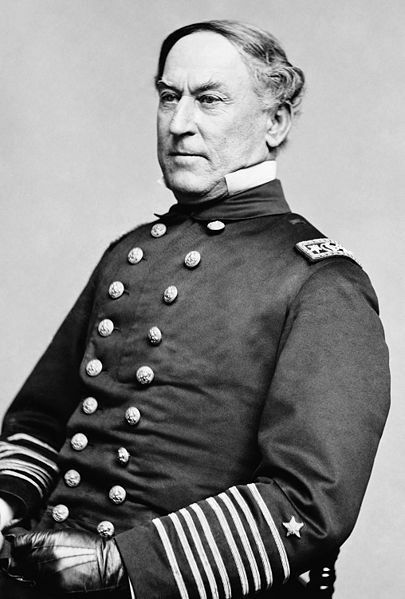 The battle was marked by Farragut's seemingly rash but successful run through a minefield that had just claimed one of his ironclad monitors, enabling his fleet to get beyond the range of the shore-based guns. 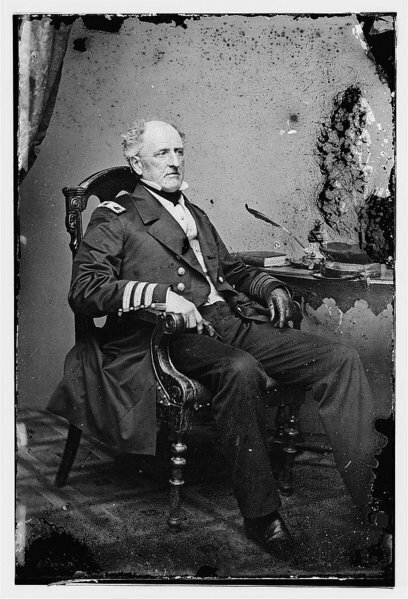 This was followed by a reduction of the Confederate fleet to a single vessel, ironclad CSS Tennessee. 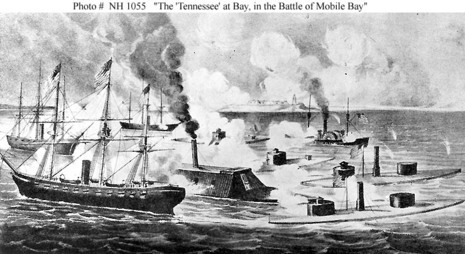 Tennessee did not then retire, but engaged the entire Northern fleet. The armor on Tennessee gave her an advantage that enabled her to inflict more injury than she received, but she could not overcome the imbalance in numbers. She was eventually reduced to a motionless hulk, unable either to move or to reply to the guns of the Union fleet. Her captain then surrendered, ending the battle. With no Navy to support them, the three forts within days also surrendered. 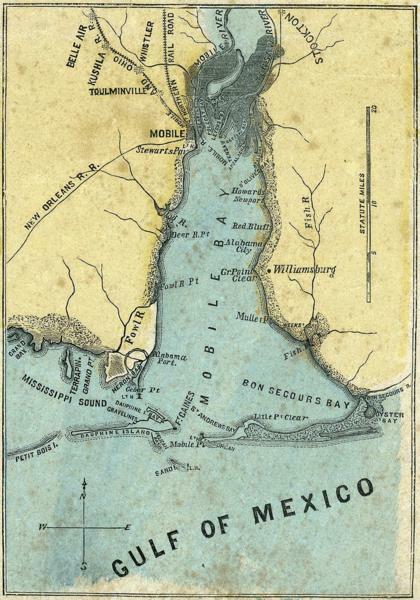 Complete control of the lower Mobile Bay thus passed to the Union forces. 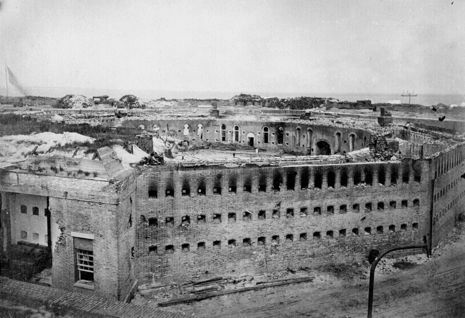 This Union victory, together with the capture of Atlanta, was a significant boost for Abraham Lincoln's bid for re-election.